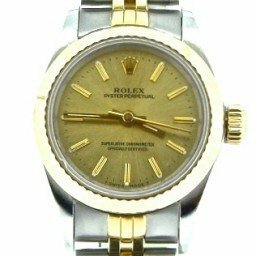 We offer a great selection of used Rolex Oyster Perpetual watches in stainless steel, two tone, and yellow gold. Also, our selection offers mens Oyster Perpetuals in size 34mm, ladies in size 24mm, and 31mm for midsize. 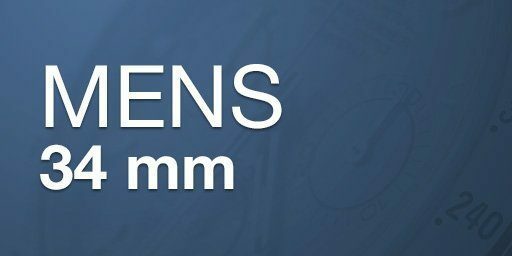 In addition, our collection offers colorful dials and a variety of bezels, and bands. 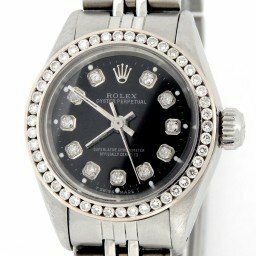 Browse our collection of Rolex Oyster Perpetual mens two tone or mens black dial Rolex, or, of course, our ladies models. 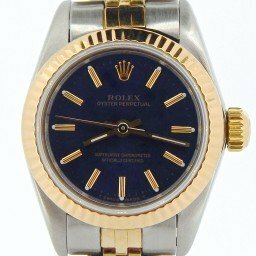 Either way, we are confident you will find a used Rolex Oyster Perpetual to fit your style and budget.  And remember, we offer a 30-day money-back guarantee, free U.S. shipping and available financing. Also, we provide personalized customer service to help you with your selection. So, contact us if we can help you find that perfect fit. 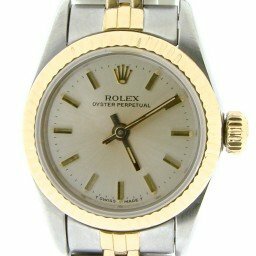 The Rolex Oyster Perpetual was the first water resistant, self-winding watch. 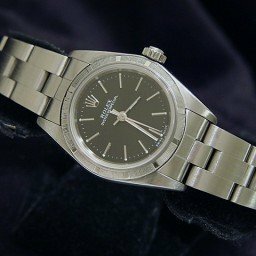 Finally, Rolex had found the solution that watchmakers had been searching for centuries. Of course, the solution attracted the attention of watch buyers worldwide. 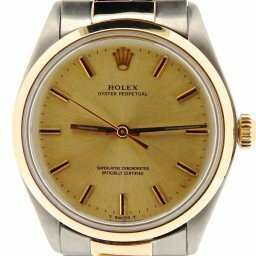 In addition, this Rolex perpetual movement was identified with the “Bubbleback” model. 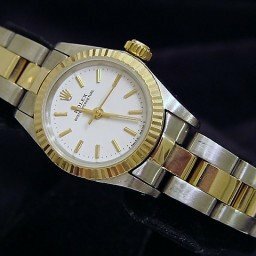 Over the next 20 years, Rolex would continue to produce this model with a variety of materials, dials, and references. 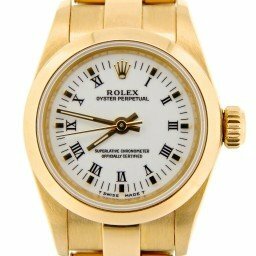 During 1931, Rolex patented and launched the first watertight, automatic wristwatch: The Rolex Oyster Perpetual. 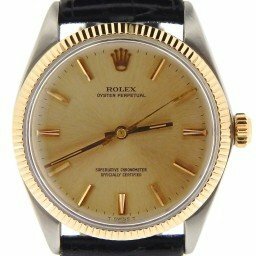 Generally, this watch contained one of the first Rolex perpetual movements through the means of a rotor weight. This weight moved as the wearer moved his arm and wrist, constantly winding the mechanism. As a result, they called it “Perpetual,” because this movement would perpetually wind itself. In fact, this rotor was able to swing unobstructed through a full rotation. Because the rotor never hit against anything or have any sudden stops, this removed the possibility of breaking the winding mainspring. Equally important, this provided the watch with a stable, constant source of energy. 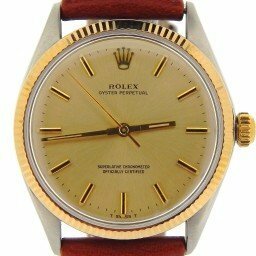 Additionally, this new Rolex perpetual movement was much quieter than other competing automatics. 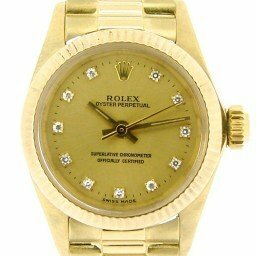 Rolex took advantage of this benefit by advertising with a slogan: Rolex the silent self winder. 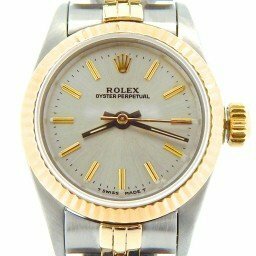 The wearer, however, could still wind the watch using the crown, if needed. There was, however, a slight disadvantage to the design because of its additional thickness. 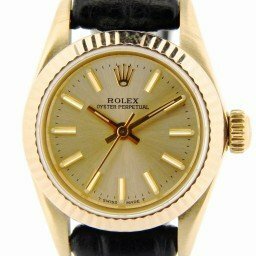 Because of the thickness, Rolex gave it the nickname “Bubbleback.” In Italian, this was referred to as the “Ovetto,” or little egg. 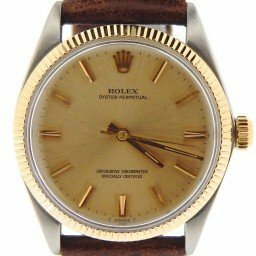 Also, there is record that Rolex initially advertised these Oyster Perpetuals as “the watch sensation of 1934.” These early models always had very simple dials and made with a stainless steel material called “Steelium.” Rolex offered these early watches with steel, a gold bezel, and winder. 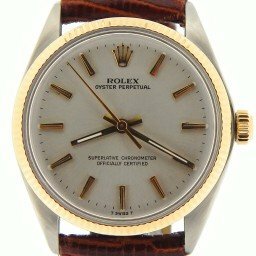 Subsequently, in the 1950’s Rolex produced an Oyster perpetual movement with a rotating bezel and called it “Turn-O-Graph” Ref. 6202. So far, this was the first model with a rotating bezel that had a 60-minute scale and luminous triangular zero marker set on the tip of the minute hand. 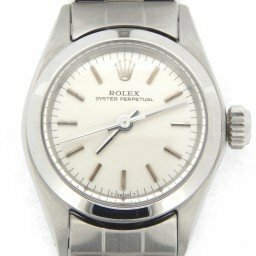 As a result, this allowed clear functionality for measuring shorter time intervals and labeled the “Tool Watch.” Beginning in 1959, Rolex issued the Oyster Perpetual No Date in size 36mm and featured a plastic crystal and a 26 jewels movement. 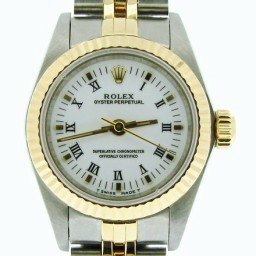 However, today these timepieces are available with a variety of dials, bezels, bands, and sizes. 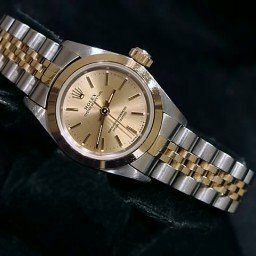 Undoubtedly, the Rolex perpetual movement is definitely a piece of art that has transcended its technological achievements to offer ease of maintenance and reliable precision under a water resistant case. 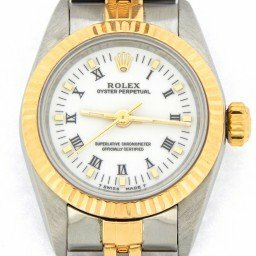 Browse our Rolex prices and models to discover how Rolex has applied this automatic movement to almost all of their models, including their “dress” watch models, as well as their sports line. 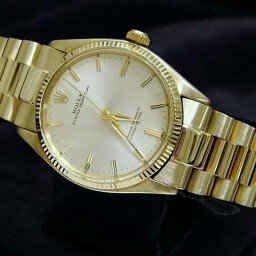 The Rolex Perpetual movement story tells the brief facts surrounding how Rolex’s self winding watch mechanisms quickly exceeded the manual winding styles. 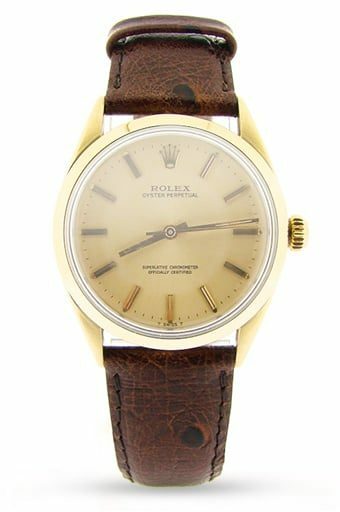 The Rolex Oyster Perpetual in its modern guise is near enough every single watch in the stable. There are no more Quartz timepieces nor manual wind pieces all are Perpetual. 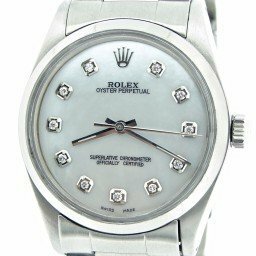 In 1931 Rolex patented a self-winding watch movement, this was one of the first movements to be wound through the means of a rotor ‘weight’. This weight moved as the wearer moved their arm and wrist, constantly winding the mechanism. Hence the moniker ‘Perpetual’ as it would be perpetually wound. 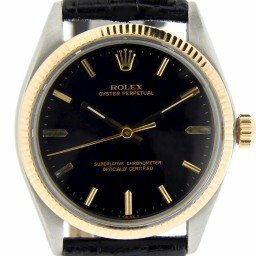 At that early juncture in Rolex’s history, the first Perpetual movements were not solely designed and produced by Rolex. They were originally modules that consisted of rotor assembly mechanisms that could be bolted onto the back of an existing movement, called the Hunter from movement maker Aegler. Adding a module onto a pre-existing movement meant an even thicker movement which needed even more space in any watch case. To fit into the then new feature case, the Oyster, it needed to be even more spacious with a deeper caseback. The bubbleback was born. 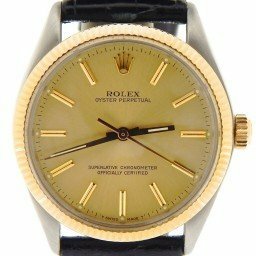 Though some of the Rolex reference history is vague and lost to the annuls of time, the first documentation with true indication of the first Oyster Perpetual model was in the 1930’s when the Oyster Perpetual makes its first appearance. As time progressed into the 1950’s, a number of calibres were used such as the 645 and 1030, which was also featured inside the early Submariner and the Explorer. 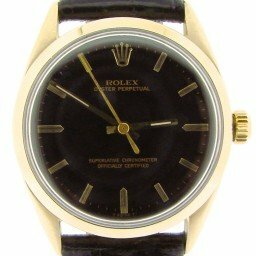 The Rolex Oyster Perpetual all featured automatic movements (hence the name), screw down casebacks, and screw down crown. The Men’s No Date, all starting with reference 1002 through to reference 1038, were 34mm in size, featuring a plastic crystal and a 26 jewels movement. 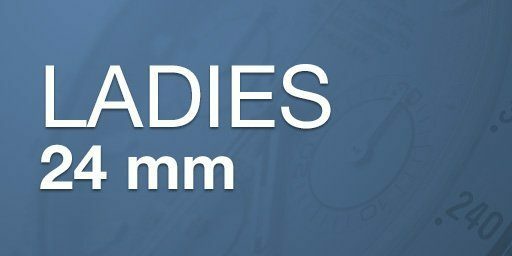 They were all available with either fluted, smooth (domed), or milled bezels. Available at the time with a selection of bracelets and available in stainless steel, steel and gold with yellow, white, pink gold bezel. 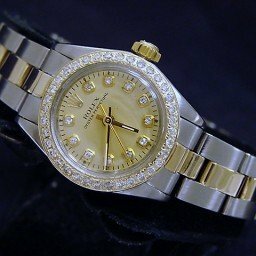 Or even the whole watch in solid pink or yellow gold. The two calibres that feature within this generation of Oyster Perpetual are the 1560 and the 1570. 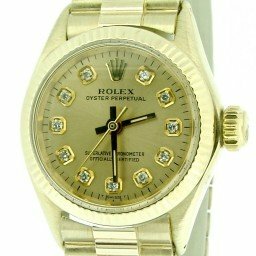 The production for this Oyster Perpetual ended in the early to mid – 1980s. 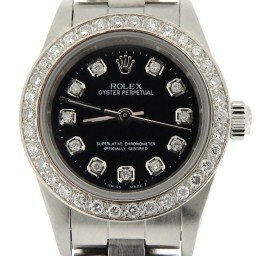 The year 1964 saw the first Ladies Oyster Perpetual featuring the 26 jewel calibre 1130, all with plastic crystals, a small case at 24.6mm diameter and available with oyster or jubilee bracelets. 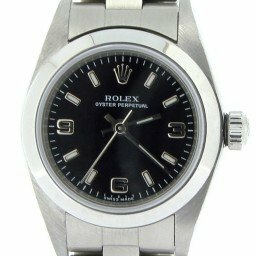 Reference 6618 was stainless steel with a smooth bezel, no fluted bezels here! 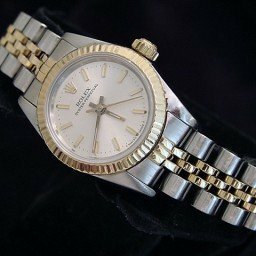 From 1974 the Lady’s Oyster Perpetual got an upgrade to the new calibre 2030 this time featuring 28 jewels and it saw one of the first introductions of the Hack function. Reference 6718 was the first with this new movement and similar to the 6618 was all in steel with a smooth bezel and exactly the same case dimensions. The Lady’s version kept getting better…and in 1983 and 1998, two additional calibers were introduced. 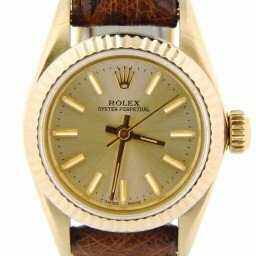 In 1983, we saw the introduction of the model reference #67xxx with the calibre 2130. 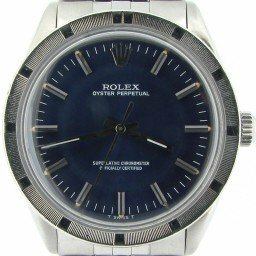 This new model had a movement with 28 jewels, but to the owners the biggest difference was the inclusion of sapphire crystal. 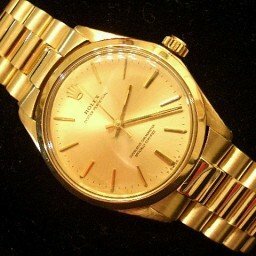 The model reference 67xxx was the first of the 5 figure reference Lady’s Oyster Perpetuals. In 1998, the next new iteration was the reference 76xxx, which was also a 5 digit reference # . This model was outfitted with the calibre 2230, which has 31 jewels. Other than this and the general updates on all the bracelets everything is the same. 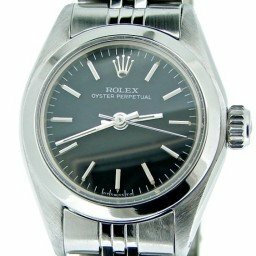 According to its size, the Oyster Perpetual is equipped with either calibre 3132 (39 mm version), 3130 (36 and 34 mm versions), or 2231 (31 and 26 mm versions), three self-winding mechanical movements completely developed and manufactured by Rolex. Each of the movements are certified Swiss chronometer, a designation reserved for high-precision watches that have passed the Swiss Official Chronometer Testing Institute (COSC) tests. In calibres 3132 and 3130, the oscillator – the true heart of the watch, has a blue Parachrom hairspring patented and manufactured by Rolex in an exclusive alloy of niobium and zirconium. The Parachrom hairspring offers great stability in the face of temperature variations and remains up to 10 times more precise than a traditional hairspring in case of shocks as well as having anti-magnetic properties. 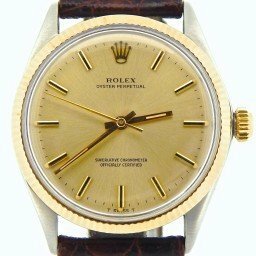 1931 First Rolex patent for a self-winding watch movement. 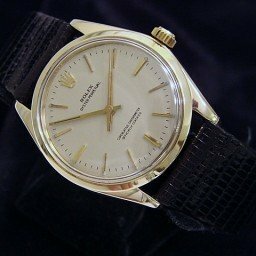 1959 Reference 1002 had a plastic crystal and a 26 jewel 1560 or 1570 calibre. 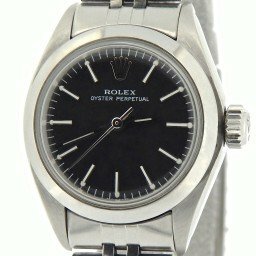 1960s Sees the introduction of the Mid size Oyster Perpetual. 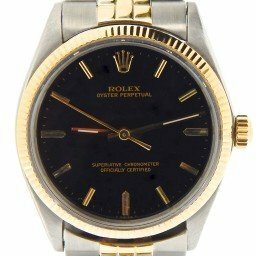 1964 First Lady’s Oyster Perpetual featuring the calibre 1130, all with plastic crystals and small at 24.6mm in diameter. 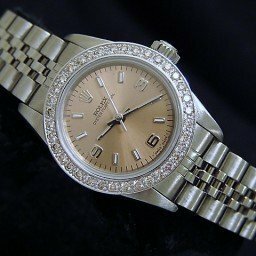 1974 Lady’s OP upgraded to the newer calibre 2030 which had 28 jewels and also featured the Hack function. 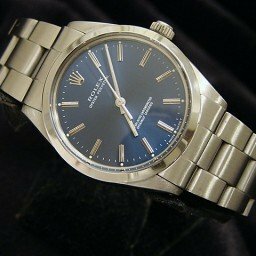 1986 End of the plastic crystal mid size OP to the new Sapphire crystal Oyster Perpetual Mid size. 1998 Reference 76xxx is introduced with a new calibre 2230 which has 31 jewels. 2014 A whole new refresh of the OP line, with 4 sizes released at Baselworld, 26mm, 31mm, 34mm and 36mm. 2015 One final addition to the new OP line, the 39mm Oyster Perpetual.